Conversations: Learning and Growing: What Works For You? My building has 2 really great science teachers in 4th grade. They both use various hands-on methods to explore the content with their students. On any given day, you could see them ripping apart flowers for identifying plant parts or wiring up some simple circuits or planting vegetables to teach science & health. This hands-on learning...they both can rock that out! They are also both getting more and more comfortable blending the textbook, online resources (like BrainPop), and SmartBoard technologies. So, they are doing great things. , and after digging into some methodology with me, both teachers were ready to start. Anywhere. Somewhere. Where? Time? Who has it? Familiarity? Not there yet. So, how do you start? This was my approach. What are you exploring with your students? What do you normally do? One culminating project for the students is to create an ecosystem mural. Love it! Art, science...fun! I tell them, "Do that!" One teacher asks, "How do I use the iPad for it?" "You don't. You will not use the iPad to make that ecosystem mural. Keep that process. The students will use chalk, pictures...whatever. But, let's get them to talk about the science. 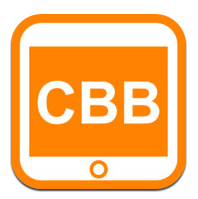 Let them continue the conversation about their work by utilizing the iPad." for having students trace the energy flow in their ecosystem (who eats who). 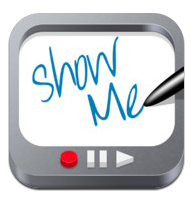 We did a quick intro to the ShowMe app and discussed setting up an account. Now...she's hooked. "I can do that. It's just take a picture and use it in the ShowMe app to have the kids talk science." Yep! We next looked at a concept that is new to their standards this year. She is struggling with this content because it is new, and she doesn't have any go to activities. 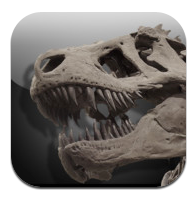 We found the Dinosaurs: American Museum of Natural History Collections app. Next question was what do I do with that? Hmmmmm. This is where it gets tricky. My first thought is put it back in her court. Don't do the thinking for her. But, she looked completely lost! This activity doesn't require a tremendous amount of support. It is being completed with high interest content. And, each child came back to the group and shared what they discovered in a whole class setting. Using the 4th grade teacher's time constraints and resources, we developed a pretty similar activity using the app. From here, I took her to our principal...got her set up with an iPad to take home and practice with! Webquest with Fossils For Kids site? 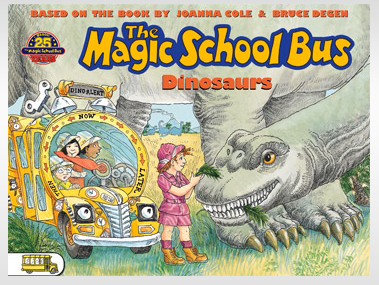 The Magic School Bus: Dinosaurs interactive book? Or, do I just show her how to pull pics from internet in to create slideshow in the Photos? That is a wicked cool way to display content while exploring a hands-on lab! I'm not sure how much support to give...I don't want momentum to slow. I want our conversation to continue! I hope your district realizes what a GEM they have in their midst! I love this on so many levels. First - taking time and working with colleagues - listening and guiding! Just great. Next, I love how you consistently explain the "process". It helps people like me fully understand how to go about and do something similar. When you break it down - it makes it seem more manageable. Finally, I love how you question yourself! This shows reflection which indicates lifelong learning. Your dilemma...hmmm....it says a lot about your character that you continued to think further about the content and lesson and search further. I might send the teacher an email with the links for what you find with a quick blurb on how to use it (if this teacher is the type to take some suggestions)....or just let her run with the info you gave her already....she might just get hooked and look on her own. So proud of you for sharing what you know, not only with those that you work with, but those of us who you know from a distance! Thank you as always for sharing! Thank you for your encouraging words and thoughts. I think your idea of an email with links is a great idea. It is a very precarious position when you are trying to demonstrate the power and effectiveness of any technology. As my tech director says, "Getting them to drink the kool aid." You definitely don't want to overwhelm, but you want them to see the endless possibilities. You don't want to undervalue the technology, but you don't want them to feel that current methods are sub par. I do see a divide forming between those who have worked with the devices (1:1, couple in the class, or just using one) and those who haven't even tried. For a person to be successful starting out, I think it takes a mix between interest in the device, interest in being partners with students, support (face to face and through on-line connections), and confidence to make mistakes. Thanks for sharing, Nancy. I love hearing from you! Setting up my young scientists up to succeed!